With daisy chaining, users now have the ability to cost effectively increase their storage volume while maintaining fast transfers. To set up a daisy chain, one master NAS unit is installed as a controller with up to two DAS linked as slaves. SAS cables are then used to link the units together in order to ensure rapid speeds. The ability to reach tremendous capacities while saving nearly 30% on hardware costs (versus traditional storage architecture) is something truly groundbreaking in the industry. 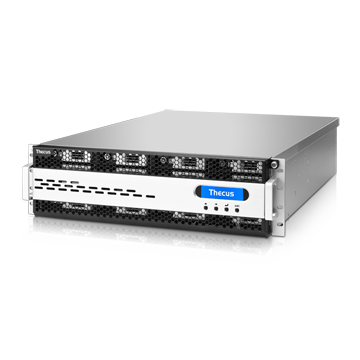 SATA III and SAS 6G for Ultra-Fast Transfer Speeds Select Thecus NAS now support internal hard drives with SATA III and SAS 6G interfaces which feature top-of-the-line transfers speeds of up to an amazing 6 Gbit/s! They are also backwards-compatible with SATA II drives, so your old disks can still be swapped in and out without a hitch. 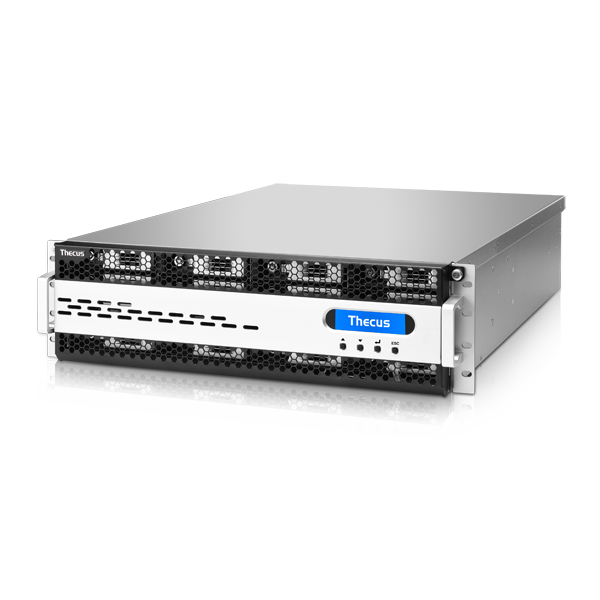 Thecus Technology Corp, today announced the launch of two new enterprise-class NAS, the N12850 and N16850. 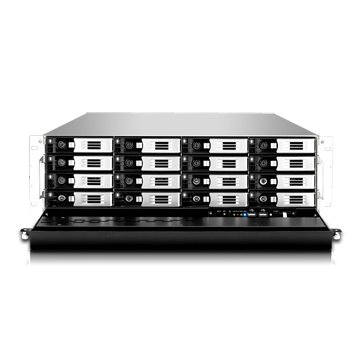 These 12 and 16-bay network-attached storage solutions offer massive scalability, exceptional performance, supporting cross-platform file sharing, schedulable snapshots and resilient data integrity, to ensure a highly efficient working environment. “Businesses today are seeking a NAS system that can best handle the demanding day-to-day high storage needs that occur in the workplace. 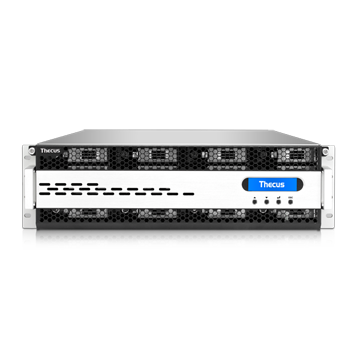 Our new enterprise-class N12850 and N16850 NAS series are the solution. 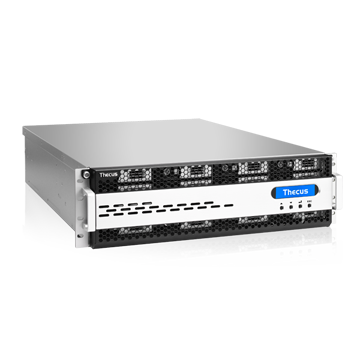 With advanced data protection and integrity mechanisms, these rackmounts NAS provide the ideal choice for storing a business's crucial data.” said Florence Shih, CEO of Thecus Technology Corp. 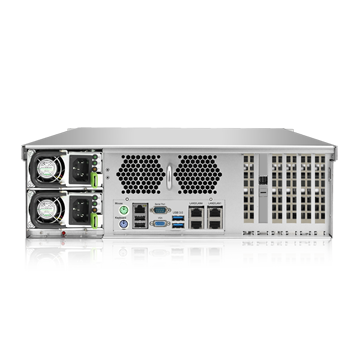 Equipped with the new Intel Haswell Xeon Processor and 16GB DDR3 ECC RAM, the N12850 and N16850 deliver lightning fast, persistent throughput speeds offering the requirements necessary to efficiently complete CPU-consuming tasks and serves more concurrent tasks at the same time. With native support for both SAS and SATA drives, users can experience the superior HDD performance of 12G SAS and 6G SATA drives providing flexibility within their storage environment. 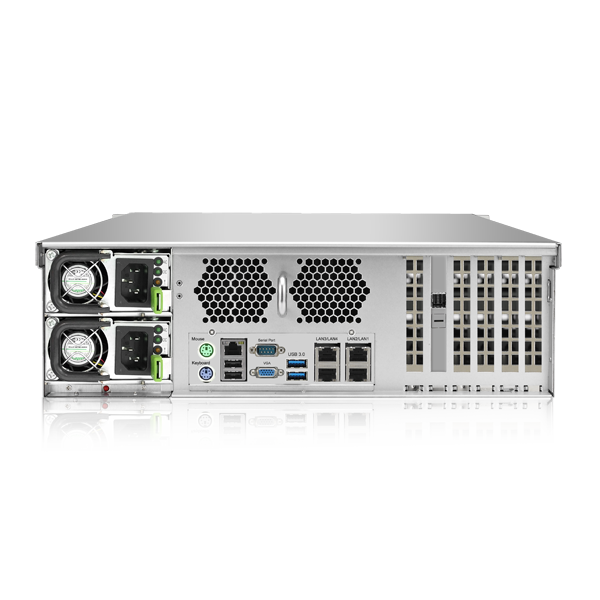 These new models are 10GbE ready and support High Availability for system redundancy. 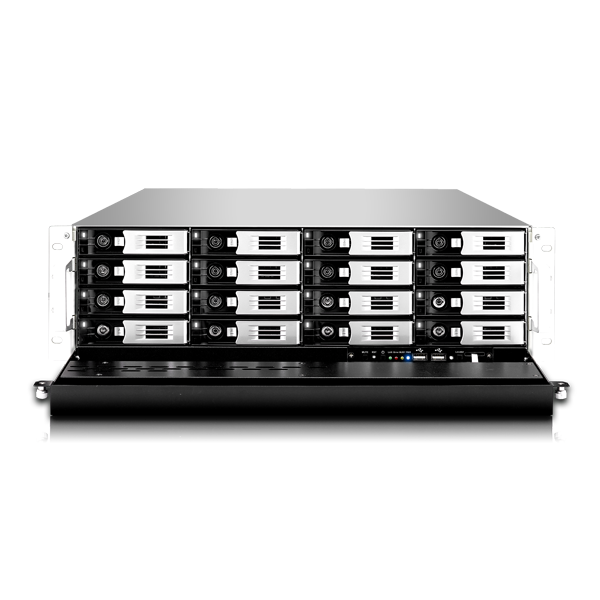 The units also deploy Daisy Chaining technology which offers connections to four additional D16000s, allowing users to reach storage capacities of up to 640TB. The N12850 and N16850 NAS offers several new features in an intuitive user interface. These new features including Virtualization, Volume encryption, Thecus App Center and User Profile. 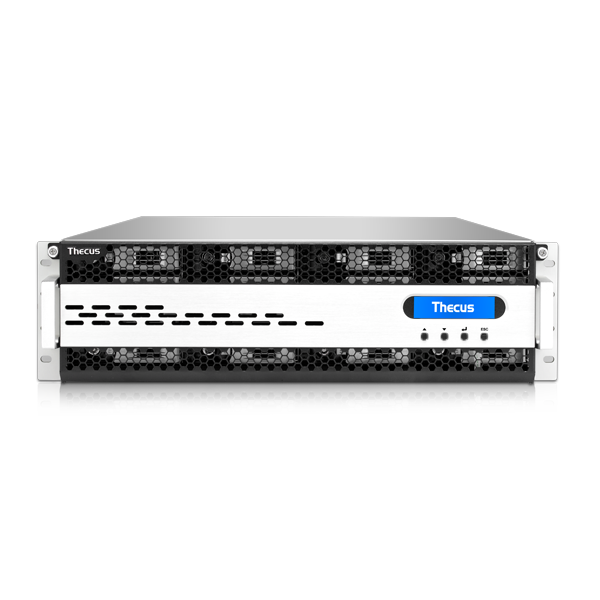 This new enterprise series delivers significant improvements in design, performance, and user experience. The N12850 and the N16850 from Thecus are perfect for large businesses who have found themselves going from strength to strength, thus seeing their data usage amplify rapidly. 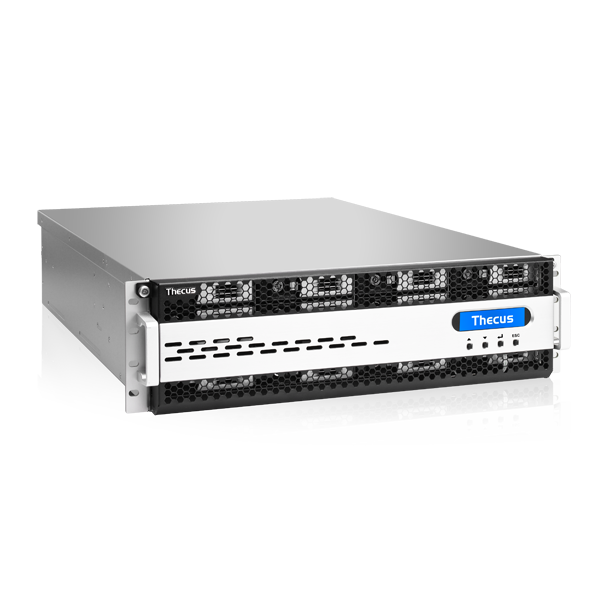 With the N12850 and N16850's new processing power, they provide enterprises with a robust, ultra-fast, highly scalable and reliable storage solution.